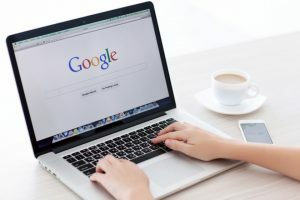 The latest data from an online survey shows that as much as a quarter of all Google searches comes from Google Image Search. It is a staggering number, showing that Google Images gets forty times more traffic than Facebook search, and ten times more than Yahoo!. The question is how the average website can take advantage of the sheer volume of image searches to increase traffic? The first problem with images most websites upload are the filenames. Google is looking for descriptive file names. Often, image file names will be the same as when they were taken from the camera, something that looks like DCIM_3344.jpg. What you should do is rename all images to something that is relevant to the article and describes the content of the image. The next issue is visibility. To attract more clicks from image search, think about how the image will look as a thumbnail. At present, Google does not automatically crop images to look more attractive. Your image will appear as is, on a page full of thumbnails. The only way to stand out is to crop the image and make it pop. Also, optimize the quality and file size of the image. Finally, there is the data about the image. Google will take the descriptions, Alt tags, and possibly even the surrounding text as metadata for the images. Optimize all the elements of the page around the image to increase the relevance of your images.